The word Pentecost draws different reactions from different people. Some have heard the word but have little awareness of what it signifies. For others, it brings thoughts of powerful encounters with God or possibly even experiences of spiritual excess they’d rather forget. In reality, Pentecost is a rich biblical event and idea. It is part of the Old Testament feast and festival calendar that was so meaningful in the lives of God’s people. It’s richness fills the New Testament with the promise that the ministry of Jesus will continue intact until His return. We can be hopeful, in the most debilitating situations, that the same power that raised Jesus from the dead is with us today. 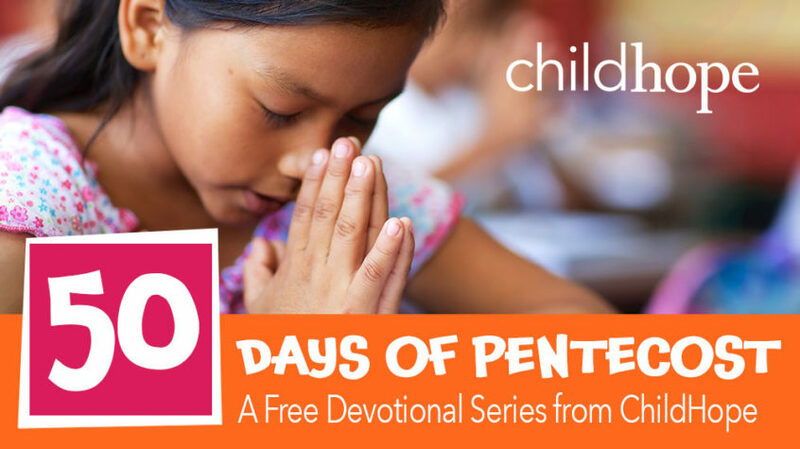 ChildHope would like to walk with you through a free email devotional series to inspire you with a fresh understanding of Pentecost. We’d also like to encourage you with stories of Pentecostal power that ChildHope schools rely on daily to bring transformation to the children of Latin America and the Caribbean. Please below for this complimentary devotional emailed to you between Easter and Pentecost Sunday (June 9). Emails will arrive on Tuesday, Wednesday, Thursday and Saturday of each week.